Health care coverage is one of the most important decisions you make. Protect yourself and your family with the name trusted for more than 80 years. Premiums are as low as $0/month or $20/month for eligible individuals, with coverage widely accepted by doctors, hospitals and pharmacies. Individuals under age 65 may be eligible based on New York State household income and size guidelines. Medicare provides coverage if you are 65 or older or have a disability, regardless of income. Choose your Medicare plan with confidence from the company your neighbors have trusted for over 80 years. We're here to discuss your needs, answer questions about plans and help you and your employees embrace their health and well-being. Get the benefits you and your family need with our Bronze, Silver, Gold, and Platinum plans with coverage accepted by 100% of hospitals and 99% of doctors. Nearly 3 out of 4 New Yorkers qualify for reduced premiums. Our Medicaid plans sponsored by New York State provide free or low-cost health insurance for those under age 65 who meet NYS income eligibility requirements. Our Medicaid plans sponsored by New York State provide free or low-cost health insurance for those under age 65 who meet income eligibility requirements. Depending on your family’s income, your children up to age 19 may qualify for free or low-cost health insurance coverage sponsored by New York State. With access to a network of more than 13,000 other doctors, urgent care centers, hospitals and specialists, we have kids covered. For more information or to apply, call 1-800-234-4781, TTY: 1-800-662-1220 or visit www.nystateofhealth.ny.gov. 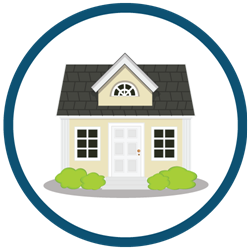 In less than a minute see if your income and household size qualify you for the Essential Plan or other free or low cost plans. We’ll also email you a free guide to help you shop for health insurance. What is your total annual household income ? Why are we asking? 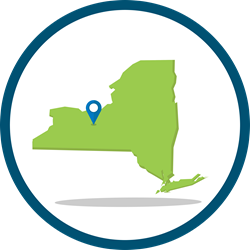 Your eligibility for New York State-sponsored or federally-sponsored programs, financial assistance, or tax credits is determined by your household income and size compared to the Federal Poverty Level. Be sure to consider and include all sources of your household income. By checking the box, I agree to receive health tips and information by email from Excellus BlueCross BlueShield. Our members enjoy more than just healthcare coverage. Join us! Receive up to $400 or $600 toward a gym membership and fitness classes. Plus, exclusive Blue365® discounts. How about $0 health screenings, flu shots, other immunizations, and more! See the complete list to take advantage every year. If I'm an Excellus BCBS member, can I make changes to my coverage? To talk to one of our dedicated Insurance Advisors today about your options, call 1-888-576-6542. Enrollment is available for the Essential Plan, Medicaid and Child Health Plus all year long for those who qualify. To talk to one of our dedicated Insurance Advisors today about your options, call 1-888-576-6542. Eligible individuals can enroll for 2019 coverage from October 15, 2018 — December 7, 2018. Of course! We have Resource Center locations in Rochester and Syracuse. Visit our Resource Center portal for more details. 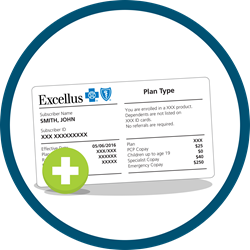 Use our Find a Doctor tool to look for physicians in your area that accept your Excellus BCBS plan. You could qualify for the Essential Plan for $0 or $20 a month based on your age, household income and size, and immigration status. Or, you may be eligible for other NYS-sponsored plans or subsidies. Use our calculator to see or call Excellus BCBS at 1-888-576-6542 to see if you qualify. Make sure you’re getting the most value out of your health plan by creating an account online at www.excellusbcbs.com. 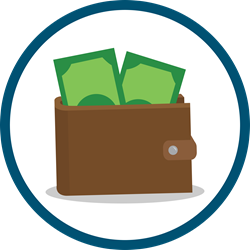 You’ll get a comprehensive tool showing the summary of your benefits, tracking your deductible and out-of-pocket spending, providing the ability to see and submit claims, preferences for receiving paperless statements, viewing and ordering your member card, and more. Plus, download the Excellus BCBS app for Apple or Android devices for control of your membership on your smartphone or tablet. Get expert advice in-person at one of our Resource Center locations on W. Ridge Road in Rochester and S. Warren Street in Syracuse. We’re on a mission to inspire a more fearless Upstate New York – showing how making small changes today can make a huge impact on your health tomorrow. Let us help you find the right plan. Get your free 5 Step Guide to Health Insurance to help get started, compare options, and enrolling tips.